Earlier this month, Forbes.com published an op-ed by Jon Entine in which he purported to debunk Dashka Slater’s must-read recent Mother Jones profile of Tyrone Hayes, the UC Berkeley professor who found that tiny doses of the widely used herbicide atrazine affects frogs’ sexual development. 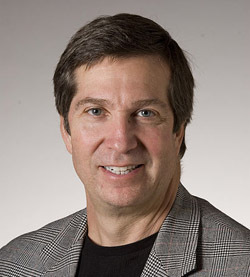 Entine, who describes himself as an “author, think tank scholar, leadership and sustainability consultant, media commentator, and public speaker on the DNA of human behavior,” accused Slater of blatantly overstating the dangers of atrazine, which shows up at low levels in drinking water in farming-intensive areas in the Midwest and South. According to Entine, as it’s currently used on American fields, atrazine poses no risks to people or farms. Entine called out Mother Jones for promoting “End of Days hysteria” and displaying “a devastating lack of respect for science.” Now, Entine’s critique of the science indicting atrazine is sophisticated and deserves to be answered. I have written critically about atrazine before, and much of Entine’s critique of Slater’s piece applies to my work as well. I’ll be digging into that in a forthcoming post. But what caught my eye about Entine’s post in the first place is that his name had shown up in a recent report by the Center for Media and Democracy (part one, part two) about the efforts of Syngenta, the globe’s largest agribusiness firm and the maker of atrazine, to protect its lucrative chemical from possible regulatory action by the Environmental Protection Agency. EPA is currently reviewing the herbicide’s registration. Last year, a panel of independent scientists convened by the EPA recommended that the agency revise its assumption that atrazine is “unlikely to cause cancer.” Pointing to what it called “strong” epidemiological evidence linking atrazine to thyroid cancer, the panel states that the agency is currently acting with “inadequate information to assess carcinogenic potential.” The European Union banned atrazine in 2004, based mainly on its tendency to run off into drinking water. A similar move by the EPA would cut into Syngenta’s profits in the United States, where atrazine sells briskly as an herbicide for our massive corn crop. Jon Entine: “author, think tank scholar, leadership and sustainability consultant, media commentator, and public speaker on the DNA of human behavior” Wikimedia CommonsEntine turned up in the Center for Media and Democracy’s investigation because last year he authored a book, published and promoted by the American Council on Science and Health, called Scared to Death: How Chemophobia Threatens Public Health. “In response to the growing level of chemophobia—the irrational fear of chemicals—among the American public, ACSH compiled this resource book and position to educate legislators, industry, media, consumers and parents on the actual risks of chemical exposure and use in everyday products,” a press release for the book states. The book mounts a brief (nearly 30 of its 120 pages are bibliography) yet vigorous defense of industrial and agricultural chemical use, backed up by two case studies, one of which is on atrazine. Syngenta has funded the American Council on Science and Health, CMD found. An email dated August 28, 2009 (PDF) from ACSH’s executive director to his “Syngenta friends” refers to the “general operating support Syngenta has been so generously providing over the years, which we request to continue at current or increased levels.” It adds: “Such general operating support is the lifeblood of a small non-profit like ours, and is both deeply appreciated and much needed.” The letter doesn’t specify the level at which the company has supported ACSH. The organization, according to CMD, has annual revenues of more than $2 million a year; its president, the high-profile pro-agrichemical polemicist Elizabeth Whelan, draws a salary of $350,000. No relationship with ACSH. I read a draft of an early version of a manuscript on chemical risk and thought it wasn’t balanced—too critical of advocacy groups. They asked if I would write a new one. I said yes only if I had complete editorial independence. They agree. [sic] After publication I declined to be involved in any PR involving it. I hold the copyright not ACSH. He added that he had “no idea” that ACSH had received Syngenta cash until he read the CMD story. To hear Entine tell it, his defenses of atrazine and other pesticides are entirely pro bono and driven by his own initiative. He told me he gets “almost all” of his income from the Genetic Literacy Project, which, he added, is funded by what he called the Templeton and Searle foundations. The project is housed at the Statistical Assessment Service program at George Mason University, where Entine is a fellow. Though Entine would not specify which Searle trust funded the GLP, the Searle Freedom Trust’s 2010 tax form lists a $154,000 grant to STATS for a “Gene Policy and Science Literacy Project,” which sounds an awful lot like Entine’s. Founded by pharmaceutical and Nutrasweet magnate Daniel C. Searle, the Searle Freedom Trust funds all manner of conservative and free-market think tanks, including the Manhattan and Heartland Institutes. According to an earlier version of the Genetic Literacy Project’s website, it “fosters dialogue about the scientific, social and ethical implications of genetic technologies…It respects the uncertainties inherent in science but is grounded in the belief that genomic research is an engine of innovation and job creation.” But the site included almost no information about what the project actually does. A “news” tab opened a page featuring links to several Entine op-eds on topics that have nothing to do with genetics: pieces defending plastics, fracking, atrazine, and BPA. Until I got your email, I had no idea that the holding site for GLP had ANY articles on it, as it’s supposed to just be a single page, and I haven’t looked at it in a year. It’s supposed to just have a summary…and as of later this afternoon [Feb. 16] it will only have that until the full GLP site goes up in a few weeks, as I just called the webmaster, who apparently had been rotely posting some of my articles.